The first number is the total number of seconds the system has been up. The second number is how much of that time the machine has spent idle, in seconds The second value may be greater than the overall system uptime on systems with multiple cores since it is a sum. How did I know that? I looked at what files the uptime program opens when it is run. We can use the strace tool to do that. There will be a lot of output. We can grep for the open system call. But that will not really work since strace outputs everything to the standard error (stderr) stream. We can redirect the stderr to the standard output (stdout) stream with 2>&1. which contains the file /proc/uptime which I mentioned. It turns out that you can also use strace -e open uptime and not bother with grepping. So why do we need the uptime program if we can just read the contents of the file? The uptime output is nicely formatted for humans whereas the number of seconds is more useful for using in your own programs or scripts. In addition to uptime, there were also three numbers that represent the load average. They are taken from the /proc/loadavg file. If you take another look at the strace output, you'll see that this file was also opened. The first three columns represent the average system load of the last 1, 5, and 15 minute periods. The fourth column shows the number of currently running processes and the total number of processes. The last column displays the last process ID used. Let's start with the last number. Whenever you launch a new process, it is assigned an ID number. Process IDs are usually increasing, unless they've been exausted and are being reused. The process ID of 1 belongs to /sbin/init which is started at boot time. Let's look at the /proc/loadavg contents again and then launch the sleep command in the background. When it's launched in the background, its process ID will be shown. So the 1/123 means that there is one process running or ready to run at this time and there are 123 processed in total. When you run htop and see just one running process, it means that it is the htop process itself. If you run sleep 30 and run htop again, you'll notice that there is still just 1 running process. That's because sleep is not running, it is sleeping or idling or in other words waiting for something to happen. A running process is a process that is currently running on the physical CPU or waiting its turn to run on the CPU. If you run cat /dev/urandom > /dev/null which repeatedly generates random bytes and writes them to a special file that is never read from, you will see that there are now two running process. So there are now two running processes (random number generation and the cat that reads the contents of /proc/loadavg) and you'll also notice that the load averages have increased. The load number is calculated by counting the number of running (currently running or waiting to run) and uninterruptible processes (waiting for disk or network activity). So it's simply a number of processes. The load averages are then the average number of those processes during the last 1, 5 and 15 minutes, right? It turns out it's not as simple as that. Mathematically speaking, all three values always average all the system load since the system started up. They all decay exponentially, but they decay at different speed. Hence, the 1-minute load average will add up 63% of the load from last minute, plus 37% of the load since start up excluding the last minute. Therefore, it's not technically accurate that the 1-minute load average only includes the last 60 seconds activity (since it still includes 37% activity from the past), but that includes mostly the last minute. Let's return to our random number generation. While technically not correct, this is how I simplify load averages to make it easier to reason about them. In this case, the random number generation process is CPU bound, so the load average over the last minute is 1.00 or on average 1 running process. Since there is only one CPU on my system, the CPU utilization is 100% since my CPU can run only one process at a time. If I had two cores, my CPU usage would be 50% since my computer can run two processes at the same time. The load average of a computer with 2 cores that has a 100% CPU utilization would be 2.00. 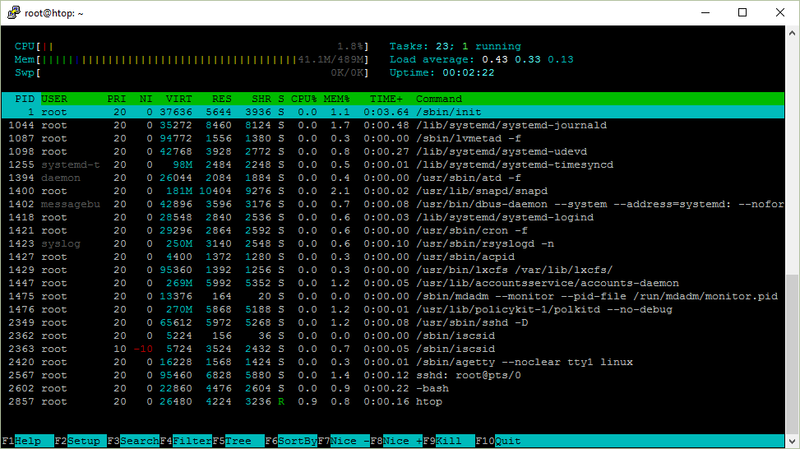 You can see the number of your cores or CPUs in the top left corner of htop or by running nproc. Because the load number also includes processes in uninterruptible states which don't have much effect on CPU utilization, it's not quite correct to infer CPU usage from load averages like I just did. This also explains why you may see high load averages but not much load on the CPU. But there are tools like mpstat that can show the instantaneous CPU utilization. Why do we use load averages then? * great pains to make it work on big machines and tickless kernels. 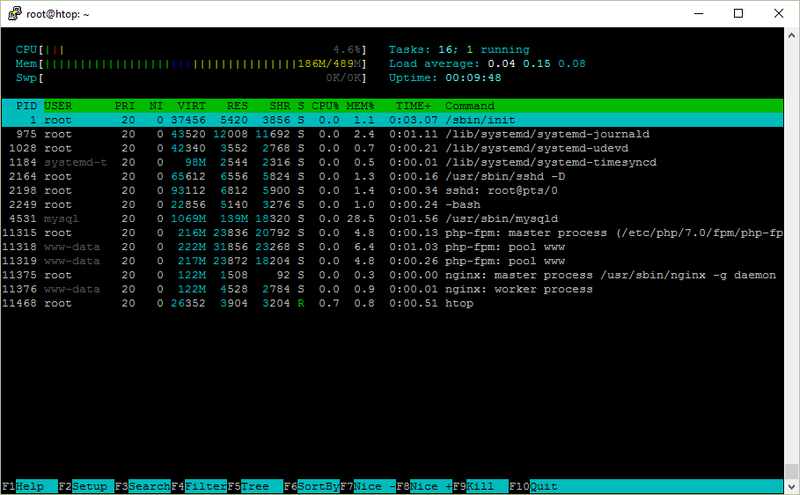 In the top right corner, htop shows the total number of processes and how many of them are running. But it says Tasks not processes. Why? Another name for a process is a task. The Linux kernel internally refers to processes as tasks. htop uses Tasks instead of Processes probably because it's shorter and saves some screen space. You can also see threads in htop. To toggle the visibility of threads, hit Shift+H on your keyboard. If you see Tasks: 23, 10 thr, it means it they are visible. You can also see kernel threads with Shift+K. When they are visible, it'll say Tasks: 23, 40 kthr. Every time a new process is started it is assigned an identification number (ID) which is called process ID or PID for short. If you run a program in the background (&) from bash, you will see the job number in square brackets and the PID. If you missed it, you can use the $! variable in bash that will expand to the last backgrounded process ID. Process ID is very useful. It can be used to see details about the process and to control it. procfs is a pseudo file system that lets userland programs to get information from the kernel by reading files. It is usually mounted at /proc/ and to you it looks like a regular directory that you can browse with ls and cd. All information related to a process is located at /proc/<pid>/. For example, /proc/<pid>/cmdline will give the command that was used to launch the process. Ugh, that's not right. It turns out that the command is separated by the \0 byte. The process directory for a process can contain links! For instance, cwd points to the current working directory and exe is the executed binary. So this is how htop, top, ps and other diagnostic utilities get their information about the details of a process: they read it from /proc/<pid>/<file>. When you launch a new process, the process that launched the new process is called the parent process. The new process is now a child process for the parent process. These relationships form a tree structure. If you hit F5 in htop, you can see the process hierarchy. If you have ever wondered why you often see bash or sshd as parents of some of your processes, here's why. So the /sbin/init with an ID of 1 was started at boot, which spawned the SSH daemon sshd. When you connect to the computer, sshd will spawn a process for the session which in turn will launch the bash shell. I like to use this tree view in htop when I'm also interested in seeing all threads. Each process is owned by a user. Users are represented with a numeric ID. You can use the id command to find out the name for this user. It turns out that id gets this information from the /etc/passwd and /etc/group files. That's because the Name Service Switch (NSS) configuration file /etc/nsswitch.conf says to use these files to resolve names. The value of compat (Compatibility mode) is the same as files except other special entries are permitted. files means that the database is stored in a file (loaded by libnss_files.so). But you could also store your users in other databases and services or use Lightweight Directory Access Protocol (LDAP), for example. /etc/passwd and /etc/group are plain text files that map numeric IDs to human readable names. passwd? But where are the passwords? They are actually in /etc/shadow. When you run a program, it will be run as your user. Even if the executable file is not owned by you. If you'd like to run a program as root or another user, that's what sudo is for. But what if you want to log in as another user to launch various commands? Use sudo bash or sudo -u user bash. You'll be able to use the shell as that user. If you don't like being asked for the root password all the time, you can simply disable it by adding your user to the /etc/sudoers file. Right, only root can do it. What happens here is that you are executing the echo command as root but appending the line to the /etc/sudoers file still as your user. In the first case, tee -a will append its standard input to the file and we execute this command as root. In the second case, we run bash as root and ask it to execute a command (-c) and the entire command will be executed as root. Note the tricky "/' business here which will dictate when the $USER variable will be expanded. It's a helpful warning that says you should edit this file with sudo visudo. It will validate the contents of the file before saving and prevent you from making mistakes. If you don't use visudo and make a mistake, it may lock you out from sudo. Which means that you won't be able to correct your mistake! Let's say you want to change your password. You can do it with the passwd command. It will, as we saw earlier, save the password to the /etc/shadow file. So how is it possible that the passwd program which is executed by a regular user can write to a protected file? I said earlier that when you launch a process, it is owned by you, even if the owner of the executable file is another user. It turns out that you can change that behavior by changing file permissions. Let's take a look. Notice the s letter. It was accomplished with sudo chmod u+s /usr/bin/passwd. It means that an executable will be launched as the the owner of the file which is root in this case. You can find the so called setuid executables with find /bin -user root -perm -u+s. Note that you can also do the same with group (g+s). We are next going to look at the process state column in htop which is denoted simply with the letter S.
I've ordered them by how often I see them. Note that when you run ps, it will also show substates like Ss, R+, Ss+, etc. In this state, the process is currently running or on a run queue waiting to run. What does it mean to run? When you compile the source code of a program that you've written, that machine code is CPU instructions. It is saved to a file that can be executed. When you launch a program, it is loaded into memory and then the CPU executes these instructions. Basically it means that the CPU is physically executing instructions. Or, in other words, crunching numbers. This means that the code instructions of this process are not being executed on the CPU. Instead, this process is waiting for something - an event or a condition - to happen. When an event happens, the kernel sets the state to running. One example is the sleep utily from coreutils. It will sleep for a specific number of seconds (approximately). So this is interruptible sleep. How can we interrupt it? You can send a signal in htop by hitting F9 and then choosing one of the signals in the menu on the left. Sending a signal is also known as kill. That's because kill is a system call that can send a signal to a process. There is a program /bin/kill that can make this system call from userland and the default signal to use is TERM which will ask the process to terminate or in other words try to kill it. Signal is just a number. Numbers are hard to remember so we give them names. Signal names are usually written in uppercase and may be prefixed with SIG. Some commonly used signals are INT, KILL, STOP, CONT, HUP. Let's interrupt the sleep process by sending the INT aka SIGINT aka 2 aka Terminal interrupt signal. This is also what happens When you hit CTRL+C on your keyboard. bash will the send the foreground process the SIGINT signal just like we just did manually. By the way, in bash, kill is a built-in command, even though there is /bin/kill on most systems. Why? It allows processes to be killed if the limit on processes that you can create is reached. Another useful signal to know is SIGKILL aka 9. You may have used it to kill a process that didn't respond to your frantic CTRL+C keyboard presses. When you write a program, you can set up signal handlers that are functions that will be called when your process receives a signal. In other words, you can catch the signal and then do something, for example, clean up and shut down gracefully. So sending SIGINT (the user wants to interrupt a process) and SIGTERM (the user wants to terminate the process) does not mean that the process will be terminated. Unlike interruptible sleep, you cannot wake up this process with a signal. That is why many people dread seeing this state. You can't kill such processes because killing means sending SIGKILL signals to processes. This state is used if the process must wait without interruption or when the event is expected to occur quickly. Like reading to/from a disk. But that should only happen for a fraction of a second. Here is a nice answer on StackOverflow. Uninterruptable processes are USUALLY waiting for I/O following a page fault. The process/task cannot be interrupted in this state, because it can't handle any signals; if it did, another page fault would happen and it would be back where it was. In other words, this could happen if you are using Network File System (NFS) and it takes a while to read and write from it. Or in my experience it can also mean that some of the processes are swapping a lot which means you have too little available memory. Let's try to get a process to go into uninterruptible sleep. 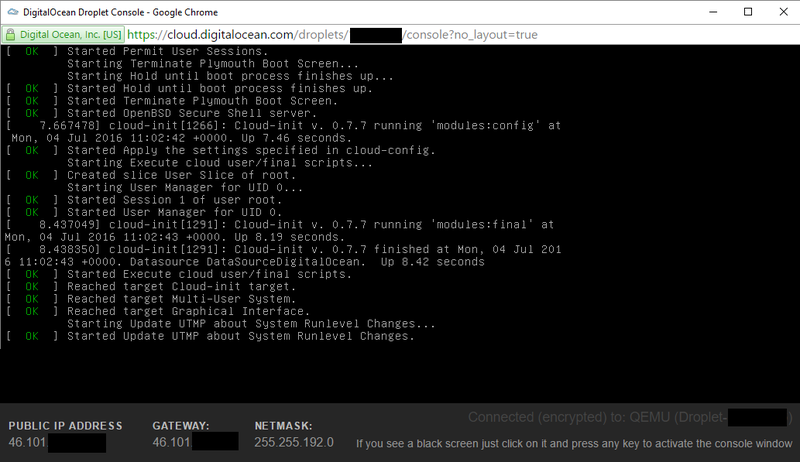 8.8.8.8 is a public DNS server provided by Google. They do not have an open NFS on there. But that won't stop us. How to find out what's causing this? strace! Let's strace the command in the output of ps above. So the mount system call is blocking the process. If you're wondering, you can run mount with an intr option to run as interruptible: sudo mount 8.8.8.8:/tmp /tmp -o intr. When a process ends via exit and it still has child processes, the child processes become zombie processes. I am going to write some C code to show this. Let's install the GNU C Compiler (GCC). When the parent process is done, the zombie is gone. If you replaced sleep(20) with while (true) ; then the zombie would be gone right away. With exit, all of the memory and resources associated with it are deallocated so they can be used by other processes. Why keep the zombie processes around then? The parent process has the option to find out its child process exit code (in a signal handler) with the wait system call. If a process is sleeping, then it needs to wait for it to wake up. Why not simply forcefully wake it up and kill it? For the same reason, you don't toss your child in the trash when you're tired of it. Bad things could happen. I have opened two terminal windows and I can look at my user's processes with ps u.
I will omit the -bash and ps u processes from the output below. Now run cat /dev/urandom > /dev/null in one terminal window. Its state is R+ which means that it is running. Press CTRL+Z to stop the process. Its state is now T.
Run fg in the first terminal to resume it. Another way to stop a process like this is to send the STOP signal with kill to the process. To resume the execution of the process, you can use the CONT signal. Run a program that will listen for incoming network connections on port 1234. It is sleeping meaning it is waiting for data from the network. Run the debugger and attach it to the process with ID 3905. You will see that the state is t which means that this process is being traced in the debugger. Linux is a multitasking operating system which means that even when you have a single CPU, you can run several processes at the same time. You can connect to your server via SSH and look at the output of htop while your web server is delivering the content of your blog to your readers over the internet. How is that possible when a single CPU can only execute one instruction at a time? The answer is time sharing. One process runs for a bit of time, then it is suspended while the other processes waiting to run take turns running for a while. The bit of time a process runs is called the time slice. This should help explain why the load average is the average number of running processes. If you have just one core and the load average is 1.0, the CPU has been utilized at 100%. If the load average is higher than 1.0, it means that the number of processes wanting to run is higher than the CPU can run so you may experience slow downs or delays. If the load is lower than 1.0, it means the CPU is sometimes idleing and not doing anything. This should also give you a clue why sometimes the running time of a process that's been running for 10 seconds is higher or lower than exactly 10 seconds. When you have more tasks to run than the number of available CPU cores, you somehow have to decide which tasks to run next and which ones to keep waiting. This is what the task scheduler is responsible for. The scheduler in the Linux kernel is reponsible for choosing which process on a run queue to pick next and it depends on the scheduler algorithm used in the kernel. You can't generally influence the scheduler but you can let it know which processes are more important to you and the scheduler may take it into account. Niceness (NI) is user-space priority to processes, ranging from -20 which is the highest priority to 19 which is the lowest priority. It can be confusing but you can think that a nice process yields to a less nice process. So the nicer a process is, the more it yields. From what I've pieced together by reading StackOverflow and other sites, a niceness level increase by 1 should yield a 10% more CPU time to the process. The priority (PRI) is the kernel-space priority that the Linux kernel is using. Priorities range from 0 to 139 and the range from 0 to 99 is real time and 100 to 139 for users. You can change the nicesness and the kernel takes it into account but you cannot change the priority. so the value of PR = 20 + (-20 to +19) is 0 to 39 that maps 100 to 139. You can set the niceness of a process before launching it. Change the nicencess when a program is already running with renice. A process has the illusion of being the only one in memory. This is accomplished by using virtual memory. A process does not have direct access to the physical memory. Instead, it has its own virtual address space and the kernel translates the virtual memory addresses to physical memory or can map some of it to disk. This is why it can look like processes use more memory than you have installed on your computer. The point I want to make here is that it is not very straightforward to figure out how much memory a process takes up. Do you also want to count the shared libraries or disk mapped memory? 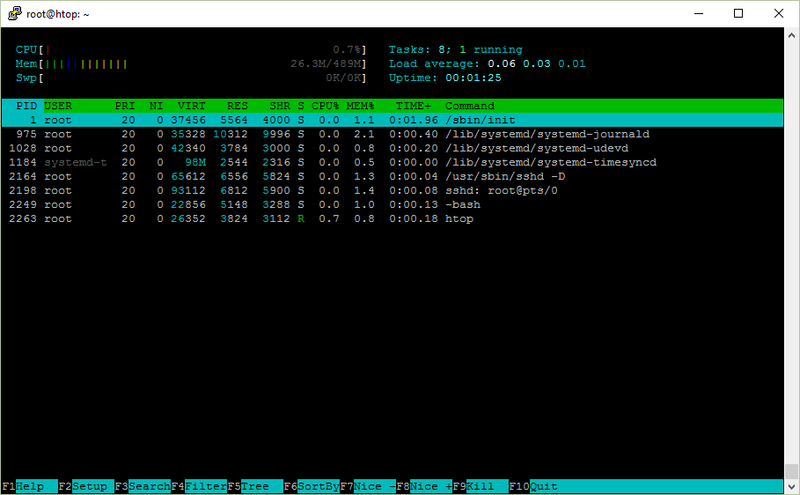 But the kernel provides and htop shows some information that can help you estimate memory usage. 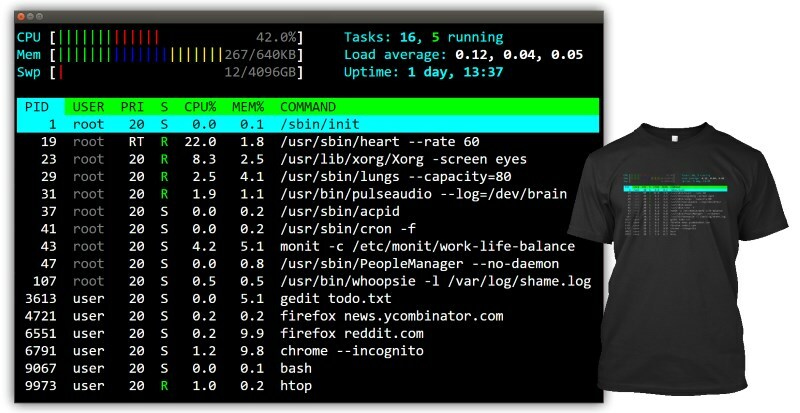 VIRT is virtual memory usage. It includes everything, including memory mapped files. If an application requests 1 GB of memory but uses only 1 MB, then VIRT will report 1 GB. If it mmaps a 1 GB file and never uses it, VIRT will also report 1 GB. Most of the time, this is not a useful number. RES is resident memory usage i.e. what's currently in the physical memory. If a process uses 1 GB of memory and it calls fork(), the result of forking will be two processes whose RES is both 1 GB but only 1 GB will actually be used since Linux uses copy-on-write. The amount of shared memory used by a task. It simply reflects memory that could be potentially shared with other processes. TODO: I should finish this. This is RES divided by the total RAM you have. If RES is 400M and you have 8 gigabytes of RAM, MEM% will be 400/8192*100 = 4.88%. What are the processes that are started at boot? Do you actually need them? It looks like cron needs a mail transport agent (MTA) to send emails. Sometimes looking at strace is not enough. Another way to figure out what a program does is to look at its source code. First, I need to find out where to start looking. Here we find out that uptime is actually located at /usr/bin/uptime and that on Ubuntu it is part of the procps package. You can then go to packages.ubuntu.com and search for the package there. When you want to redirect standard error (stderr) to standard output (stdout), is it 2&>1 or 2>&1? You can memorize where the ampersand & goes by knowing that echo something > file will write something to the file file. It's the same as echo something 1> file. Now, echo something 2> file will write the stderr output to file. If you write echo something 2>1, it means that you redirect stderr to a file with the name 1. Add spaces to make it more clear: echo something 2> 1. If you add & before 1, it means that 1 is not a filename but the stream ID. So it's echo something 2>&1. 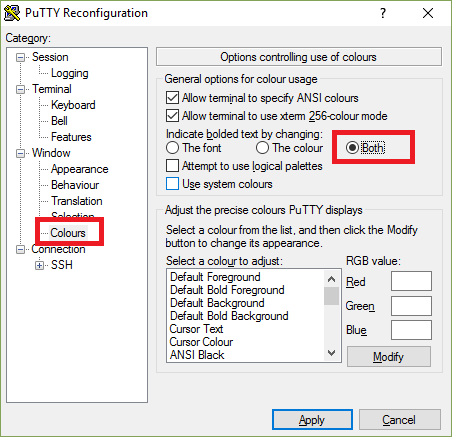 If you have missing elements in htop when you are using PuTTY, here is how to solve it. Let's write a very simple shell in C that demonstrates the use of fork/exec/wait system calls. Here's the program shell.c. Have you ever wondered that when you launch a process in the background you only see that it has exited only after a while when you hit Enter? That's because the shell is waiting for your input. Only when you enter a command does it check for the status of the background processes and show if they've been terminated. Here is what I'd like to find out more about. Here is a list of non-minor corrections and updates since the post was published. Please let me know if there is something wrong in this post! I will gladly correct it. Congratulations on making to the end. 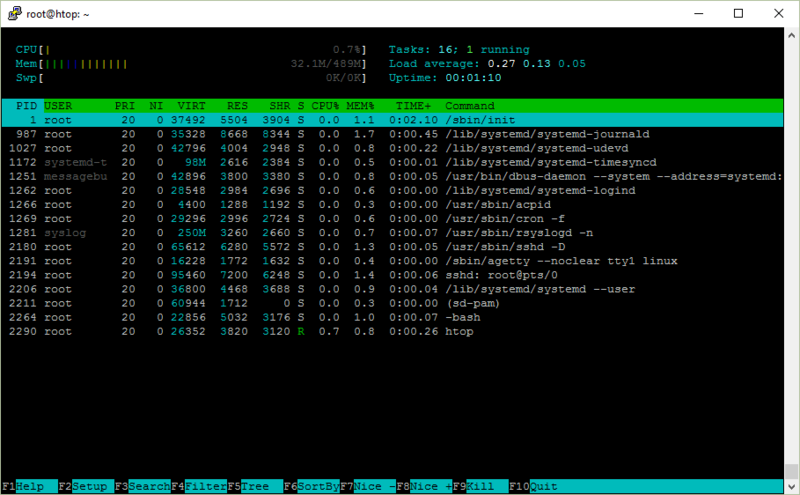 Here's another screenshot of htop. This time it's of a human. It displays your inner processes and the load of your kernel. Get this t-shirt for yourself or as a gift.